New Spotter Guides coming soon! I am very pleased to announce new Spotter Guides which will be released in the coming weeks. 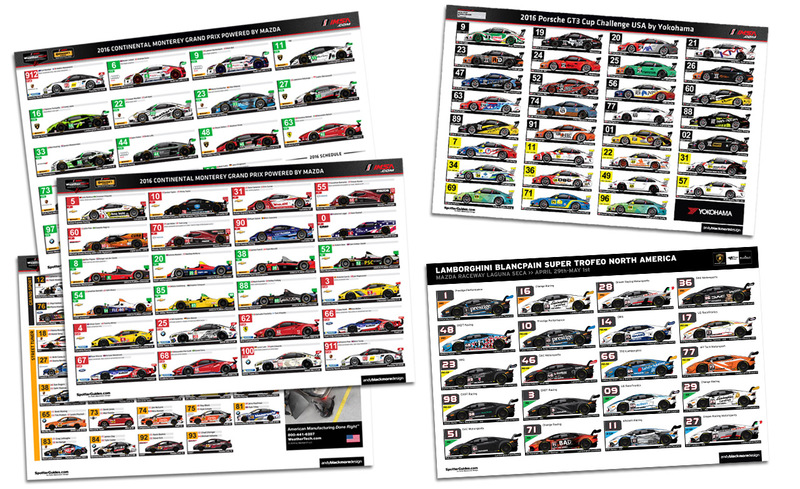 in addition to the Official IMSA Spotter Guide, produced prior to each race for the Weathertech and Continental series, I have partnered with the series to produce a new range of Spotter Guides for the IMSA Porsche GT3 Cup Challenge USA, IMSA Porsche Ultra94 GT3 Cup Challenge Canada and the IMSA Mazda Protoypes Lites Series. Time to post this as I’m receiving lots of mail and questions on social media. 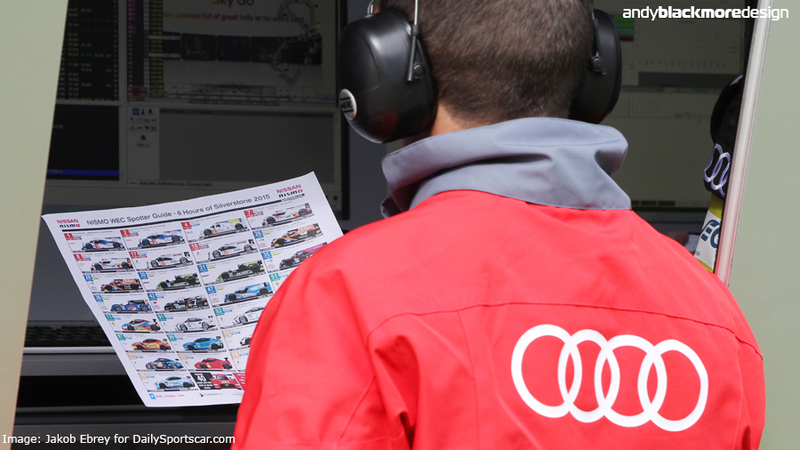 I have been unable to find a partner to offset the time involved to produce a WEC or ELMS spotter guide for 2016 and therefore, I will sadly, not be releasing a guide for 2016. 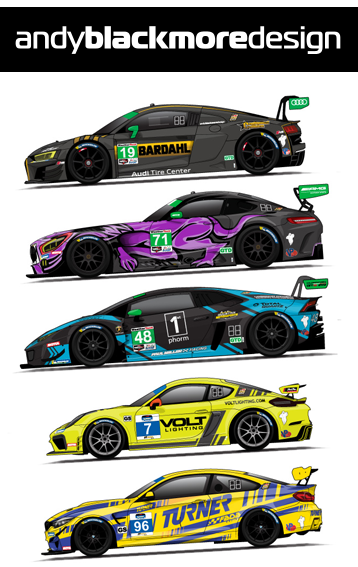 Nexen Tire re-enter Formula Drift as a partner and tire supplier for 2016 and commissioned me to produce a ‘car-toon’ style Spotter Guide having seen my Instagram art of Ford GT and Corvettes earlier this year. 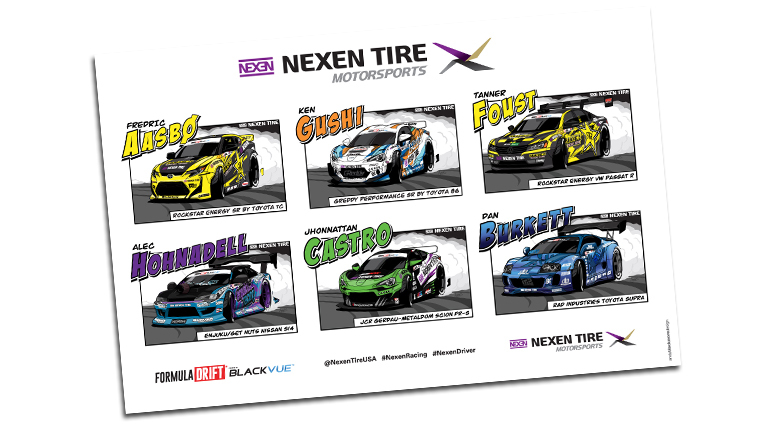 Head over to the dedicated Nexen Tire page to download your guide, or pick one up printed up as removable stickers from Formula Drift events during 2016. Thanks to Nexen for coming on board and Formula Drift with helping out on assets. 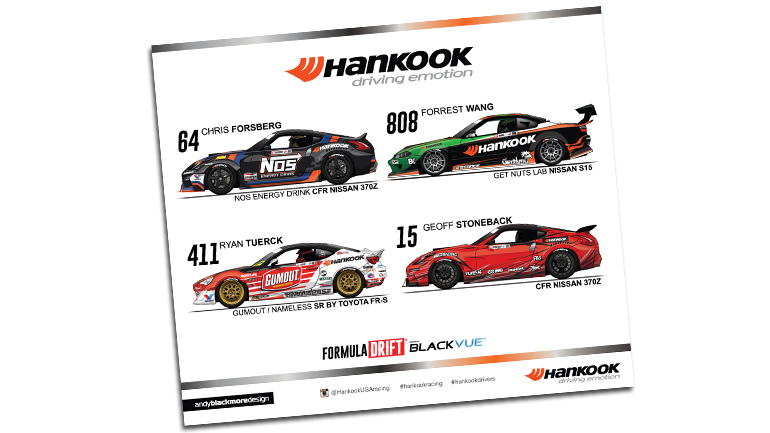 Head over to the dedicated Hankook page to download your guide, or pick up one at the Formula Drift events during 2016. We have deliberately left space for you to get Autographs.